We bet you will now! And we're here to help you make that dream a reality. So what's the mark of a good pillow chair? 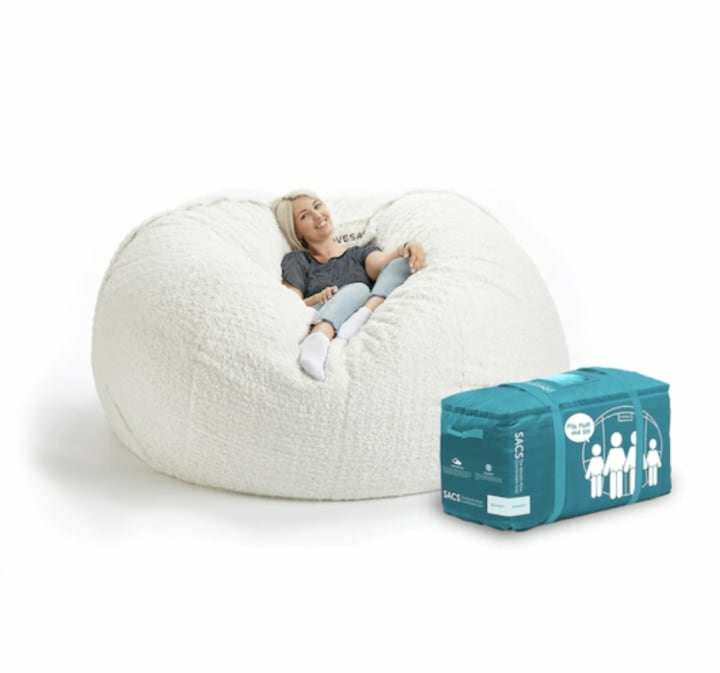 Most importantly, it's got good-quality filling that evenly distributes your body weight and doesn’t compress over time (ahem, that sad beanbag chair that’s now been banished to a corner of your basement). 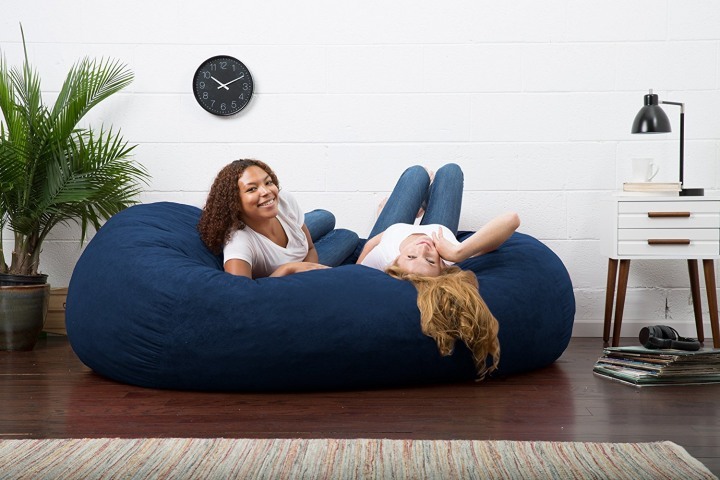 Ideally, you'd also want a removable cover that's stain-resistant and easy to wash (ahem, that ominous pizza sauce stain on the aforementioned beanbag chair). The gold standard is the LoveSac, a magical mail-order cloud with a cult following and a hilarious name. Yes, it's pricey (the 8-foot-wide BigOne costs $1300). But, hey, maybe it can just replace your bed. After all, 8 feet is large enough to comfortably cuddle most grown adults. We won’t tell your orthopedist if you won’t! If you're still not quite ready to make the kind of investment, you've got options! The Jaxx 6-foot Cocoon, also on sale for a mere $222, has a 4.5 star rating on Amazon. You could definitely get a good work-from-home groove going here — just get one of those breakfast-in-bed trays and a good lamp, and voila! Instant home office. Get ready to say, “Hey boss, mind if I work from home today?” a lot more often. 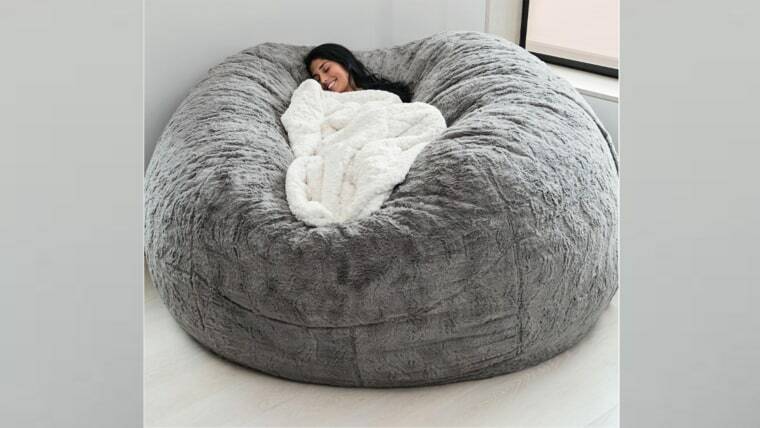 If all you need is a cozy spot to binge-watch "This Is Us," we suggest the Comfy Sacks 6-Foot Memory Foam Bean Bag Chair. It's $385 and has a respectable 4 stars on Amazon. Just remember to bring snacks ... once you plop down into it, we can't promise it'll be easy to get back out. The Big Joe XL Bean Bag Chair is another great option with over 4,000 reviews. 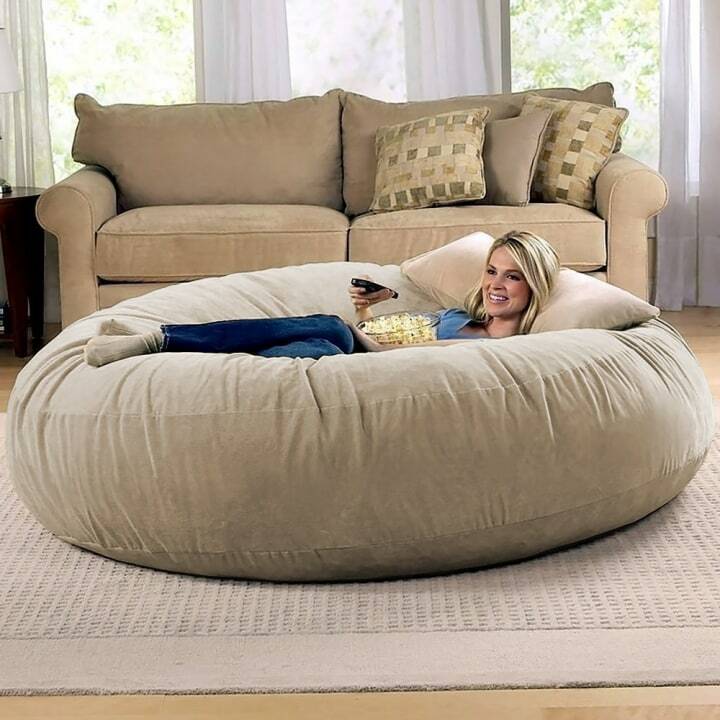 We fully support having a “prop sofa” for when guests drop by, and one of these for when real relaxation is required. This was first published Nov. 6, 2017 on TODAY.com.